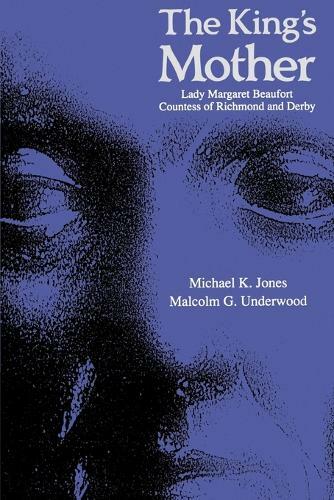 This is a study of the life of Margaret Beaufort, mother of Henry VII and foundress of two Cambridge colleges. It is at once the first biography of Lady Margaret to explore the full range of archival sources, and one of the best-documented studies of any late-medieval woman. Lady Margaret's early experiences of the medieval 'marriage market' anticipated the turbulent political world in which she reached maturity. Deeply involved in the Wars of the Roses, and conspirator against Richard III, she was to become the foundress of one of England's greatest ruling dynasties. Her considerable wealth, much of it owed to her son's triumph, was used to finance education at Oxford and Cambridge, and her lasting memorials are the Cambridge colleges of Christ's and St John's. Behind her activities as both politician and benefactress can be discerned a vigorous, sometimes ruthless, but always enterprising personality, which left a deep impression on her contemporaries. This is a biography of unusual character which brings to life an extraordinary personality under a great variety of aspects, illuminating in depth the political, social, ecclesiastical and academic history through the life of one of the most remarkable women of the age.